Sir Ivo de Vassy was once known as the Norse warrior Ivar and he, along with eight fellow warriors, was cursed by the powerful sorceress Cwen when her son was slain in a long-ago battle. Forced to suffer endless days in the form of an eagle, only allowed human form at night, he was made immortal. Now working for the Norman King William, his service to the crown awards him a boon, and feeling the need to settle, even for a little while, and taste a sliver of normalcy for however long it lasts, he requests and is granted land and the title of Lord of Alnwick and is given the granddaughter of the former Lord to wed, Lady of Alnwick, Alaida. Alaida doesn't much care for the king who imprisoned her grandfather, and she's less pleased with the idea of the political marriage. Duty bound, she follows the letter of the king's law and marries Ivo, but spirited and smart, she rebels in her own way and goes toe to toe with the imposing warrior. Instead of a tyrant and an oaf, however, Ivo proves to be a generous and thoughtful Lord, and Alaida finds herself attracted to her new husband, even though his odd habit of disappearing before the sun rises each day causes her pain and embarassment. Before Ivo can relish the warming of his new wife's temperament, fellow cursed warrior Ari, by day a man and by night a raven, tells Ivo of the vision he's seen, a vision in which Ivo's progeny bears their curse. No matter how much his body and heart crave his wife, he is damned to never again lie with her as husband or risk getting her with a child that will be just as tortured as he. What he wants most, he can't have. What he cares about most deeply can never be his. And even as living amongst men threatens his secret, and living with his wife threatens his fortitude, any chance at love may quickly turn to horror and death if Alaida ever finds out the truth of her husband's nature. Despite the fact that historical romance isn't a preferred genre of mine, I was both impressed and pleased with the genuine feeling of historical accuracy that Lisa Hendrix brought to this series debut. I know little of medieval history, so I can't speak with authority about technical accuracy, but with deft descriptions of the people and the lives they live, the influence and power of the church, the nature of the workings of the homestead, and the substance of the dialogue, Hendrix infused an air of authenticity into Immortal Warrior that I have found severely lacking in other historical-themed books. Frankly, it just felt like Hendrix did a fair amount of research into the nature of medieval life and replicated it well, even as she blended in the magical nature of the characters. From a reader's perspective, I appreciated the attempt, and as someone not intimately familiar with historical accuracy, I found it very successful. Ivo and Alaida were well formed characters, and Alaida in particular really appealed to me. 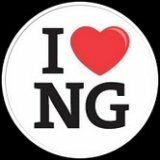 One of the reasons I tend to stay away from historical romance is that the female protagonists tend to fall into one of two basic categories, either they're too progressive for the era in which they're being written and the book stumbles on technical merits, or they're too simpering/submissive/innocent, and the book stumbles on story merits. I was very impressed with Hendrix for creating a female lead of her era, aware of her duties and her responsibilities, knowledgeable of her restrictions, and still fiery and independent within those rigid strictures, and despite her innocence of men. It was a deft and intelligent bit of writing to maneuver that particular tightrope and I applaud Hendrix for it. 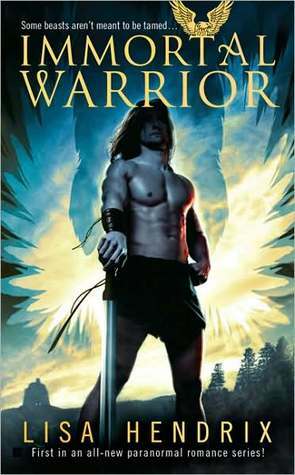 Immortal Warrior is a fast read, quickly paced, and I practically flew through it. Well rounded secondary and ancillary characters supported the story nicely, adding depth, and I very much enjoyed the mythos and backstory for the warriors. Hendrix went so far as to introduce readers to Brand, who spends his days as a bear, and Ari, the nightly raven, and both are appealing enough to instill a desire to see them reach their happily ever after. Smart move, really, and it set this book up nicely as a very strong starting point for what could truly be an impressive and original series. There were a few minor cliched aspects, and a bit of formula in the developing romance between Ivo and Alaida. I'm pretty tired of romances in which the lack of communication, regardless of the reason, is the sole or major conflict between the romantic pairing. My reading preferences lie elsewhere, and again, is another reason why I tend to stay away from historical romance. The inherent nature of the historical era seems predisposed to communication issues between the man and woman. I would have preferred a more external conflict to drive the plot. I was slightly disappointed that so little of the eagle was included in the story. Despite Ivo's dual nature, little of his animal side, or of the animal sides of Brand and Ari, were significant to the plot beyond the fact that they exist. When they were included, I found their differences and unique natures fascinating and would have liked to see more. On a brighter note, a very subtly-written ancillary plot thread that featured Brand and the healer Merewyn was appealing on a couple of different levels and I hope that we will see them again in the future. There was a plot twist that I didn't see coming, and it certainly took me by surprise, but it was also the only part of the book that was more plot-driven than character-driven, so it didn't blend as well as all the other aspects of the story. It teetered a bit over the line into cliche and took a dance with overly convenient plot devices, but to expound on that would provide way too many spoilers and I was taken off guard to such an extent, I'm loathe to ruin that surprise for anyone else. Coupled with what I felt was a slightly odd conclusion that was far too...populated...for my tastes, the book didn't end quite the way I would have preferred. Between being thoroughly impressed with the genuine historical feel, though, and admiring of the originality and scope of the mythos and backstory, as well as being truly fond of Ivo and Alaida, there was much to enjoy. The characters, various conflicts, and plot threads wove together to create a balanced and emotionally substantial reading experience. I've purchased the second book in the series, Immortal Outlaw. One of the more tantalizing aspects of this series is the scope of historical times and various eras this series can feature. Given the research and attention to detail Hendrix offered here, I look forward to seeing if Hendrix intends to make use of a wide range of eras and the myriad of opportunities that range provides.